Every other day is turning into a chicken hunt. I could lock them up… but I don’t… so… we look here… and there. Lucas bumps a couple with his nose. 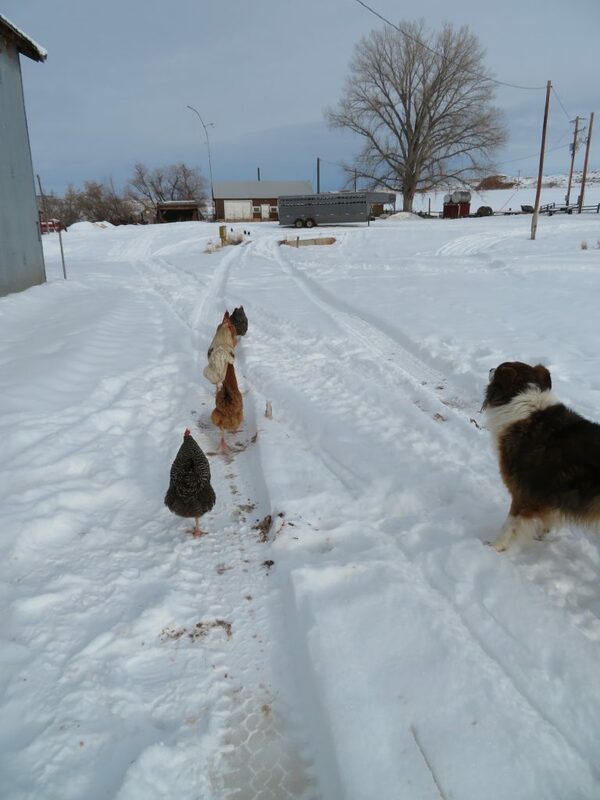 They’re in deep snow and don’t want to walk! Three lead the way clear up by the horse trailer… Lucas is impatiently bringing the laggards along. 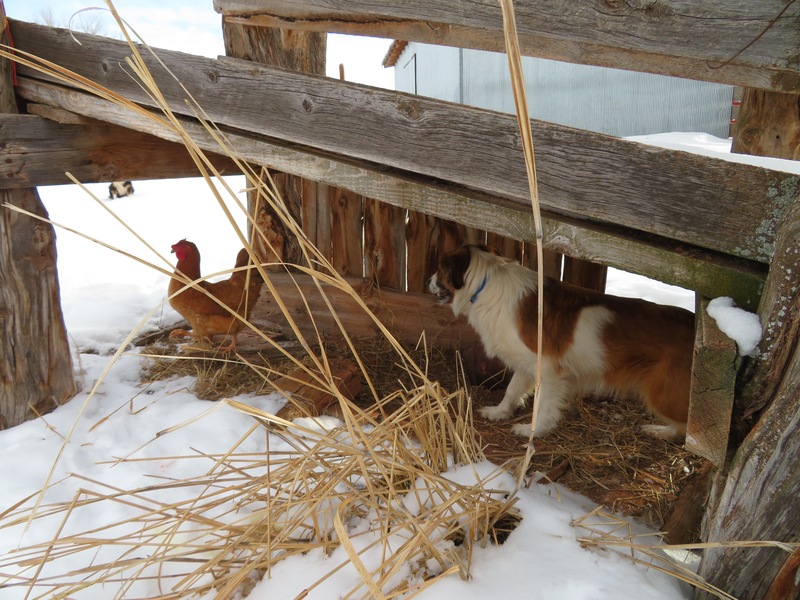 Then it’s a left turn to the coop and they can lay some eggs! Hey… I think I’m overdue for a Q&A session… I see there’s a couple in the comments already… let’s add some more and I’ll answer them soon! Ask away, people! 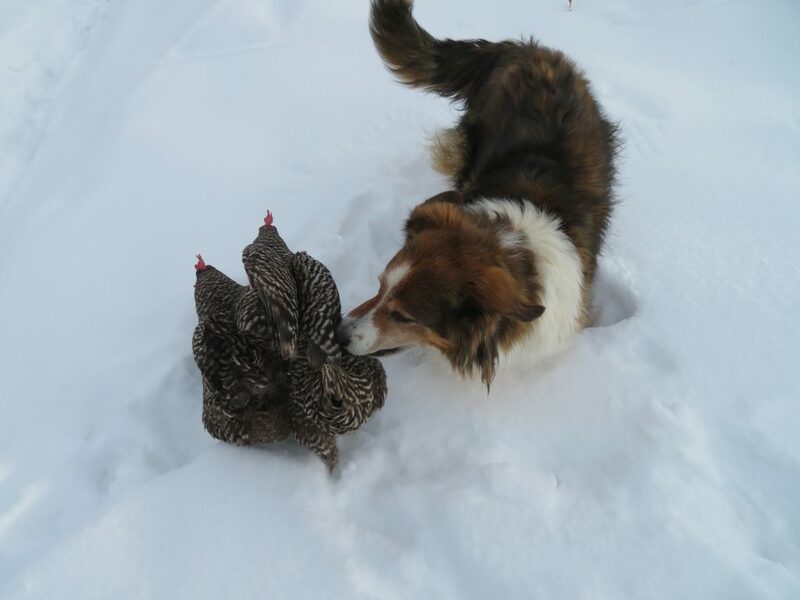 Love your fur babies “herding” chickens! I don’t miss the days of rounding up hens, though I do miss the fresh eggs. When you get old some things just aren’t worth it!! 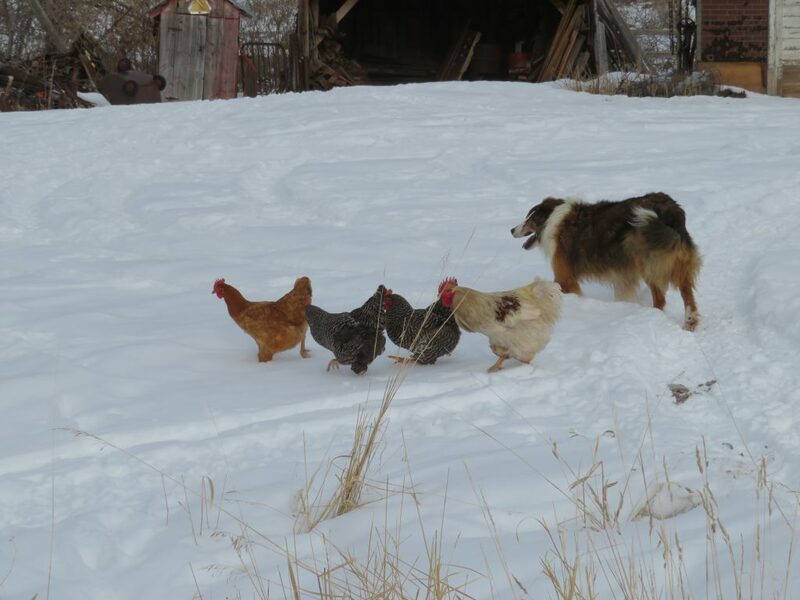 So, I learned something new today – cow dogs will herd chickens. SWEET!